Whether it’s an addition to your growing collection of reliable EDCs or simply as a gift for someone you hold dear, the Twitch II is always a good choice especially for those who want something that comes with a trendier styling without losing focus on its function. That’s what the Twitch II is all about: a great combination of style and substance in a modern take of a classic folding knife. 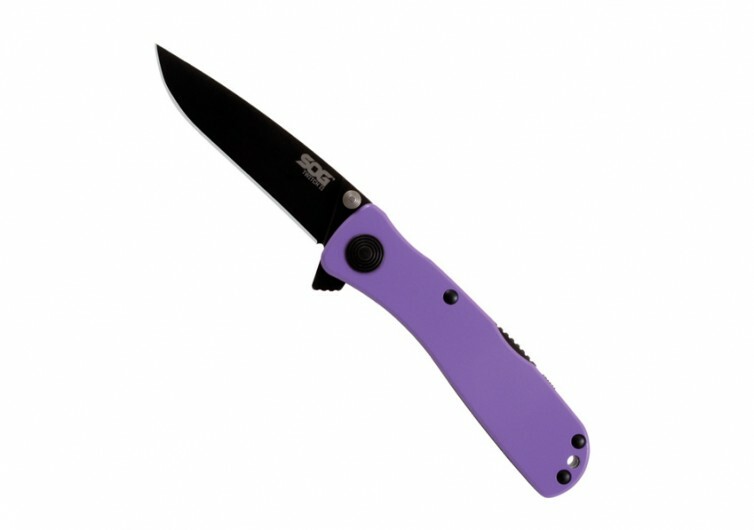 The Twitch II comes in a very unusual color scheme for its handle. 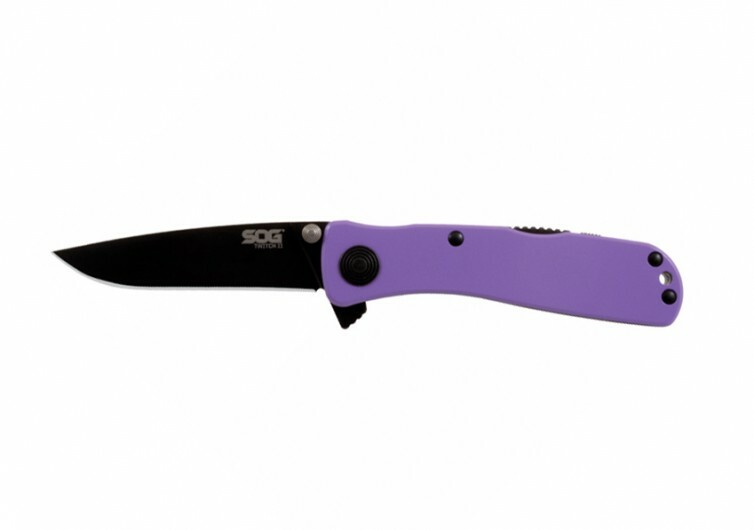 SOG calls it the ultraviolet that looks more like a lighter version of the color of yam. While the handle is designed in candy color, don’t ever make the mistake of overlooking the quality of its handle. 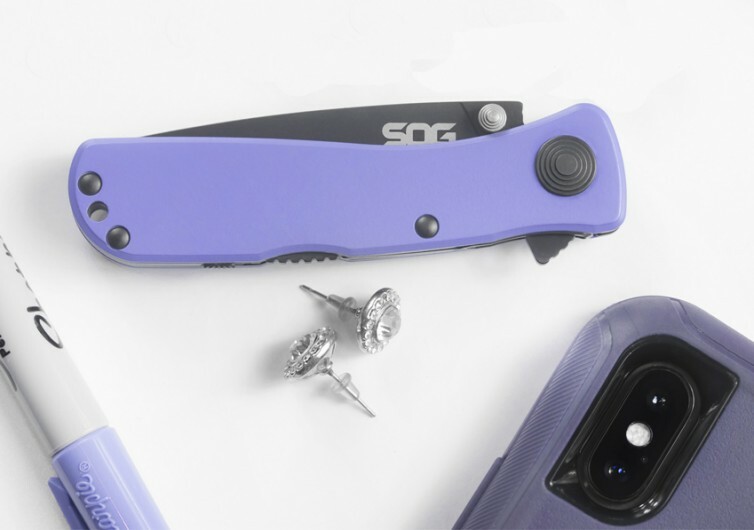 It’s made of anodized aluminum that incorporates a fixed belt clip. You may not really approve of its color scheme, but you surely will appreciate the way the handle was designed to sit comfortably in your hands. 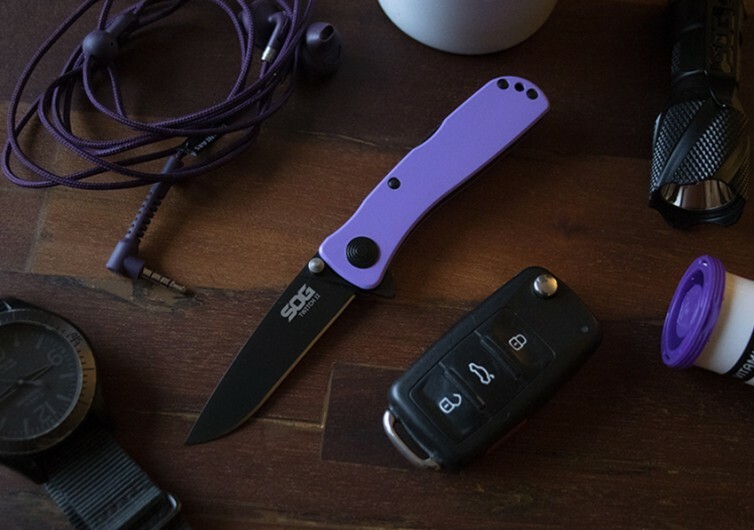 Regardless of whether the blade is deployed or not, this EDC knife does feel nifty and solid on the hands. 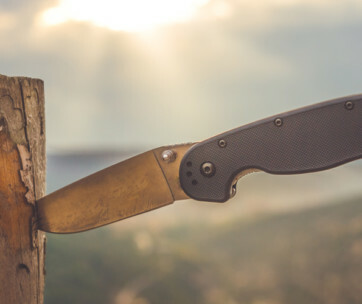 The 2.65-inch long drop point blade made of premium AUS-8 steel and given a now-standard black finish is tough enough to get you cutting across a number of surfaces with its RC 57-58 blade hardness rating. 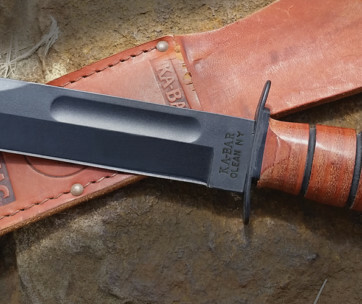 It may not have the heft of a real knife, but it can do the job that you want it to do. 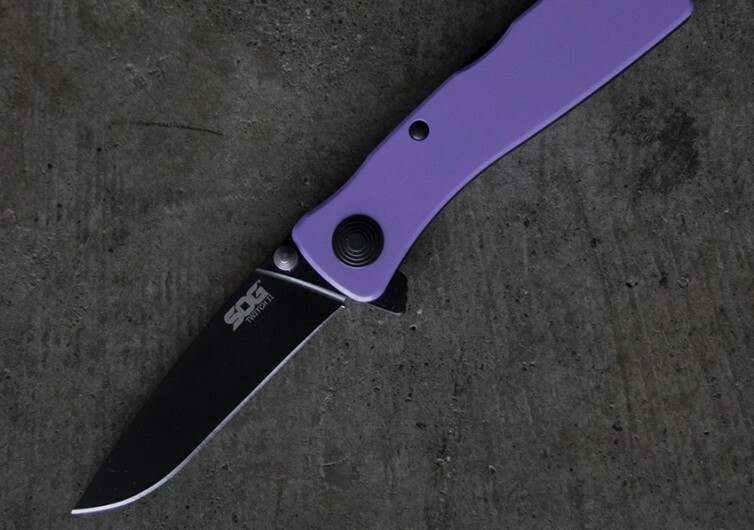 Opening the Twitch II is made simple enough with the SOG-assisted technology, allowing seamless deployment of the blade. The spring mechanism is what makes the Twitch II such a joy to open. 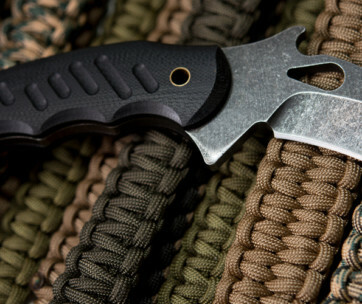 The Twitch II may have some very simple design elements, but it is the thought of having a nifty and robustly-designed bladed tool you can rely on that really counts.